i am running sccm 1710 on windows 2016. My wsus with the system role for software update is also running on windows 2016. My Surfaces are running 1709 (fall creators update) at the moment. But these updates are old. If i take a look on the MS Download Page, i found an MSI Driver Package from August, 10th. 2018. And all other updates are from 2017. I am running a single SCCM server (1810) on Windows 2019. And I am experiencing the same thing. 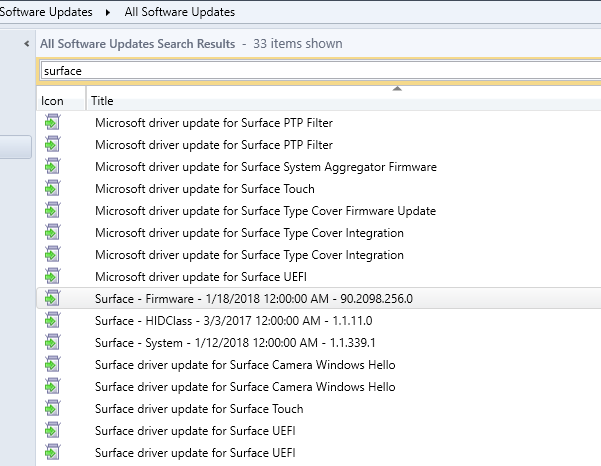 Include Microsoft surface drivers is checked, yet I am not seeing any current Surface drivers?